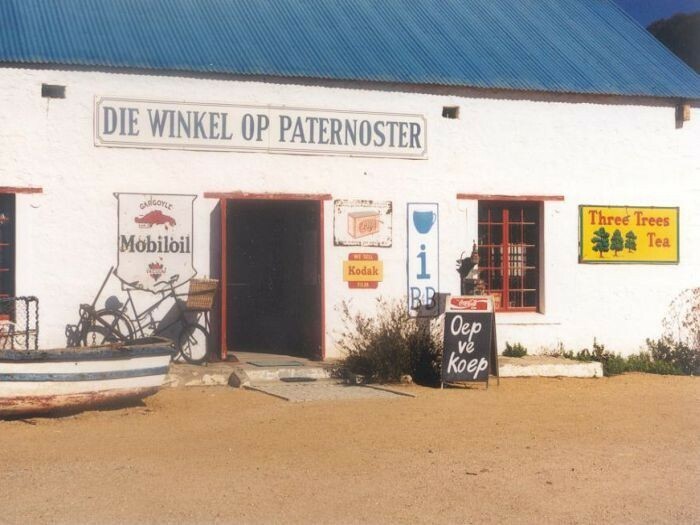 The name Paternoster (Latin for Our Father) is said to have reflected the prayers of sailors who ran into trouble on the rocky shores. It could also have reference to a fisherman’s knot originating from Scotland. 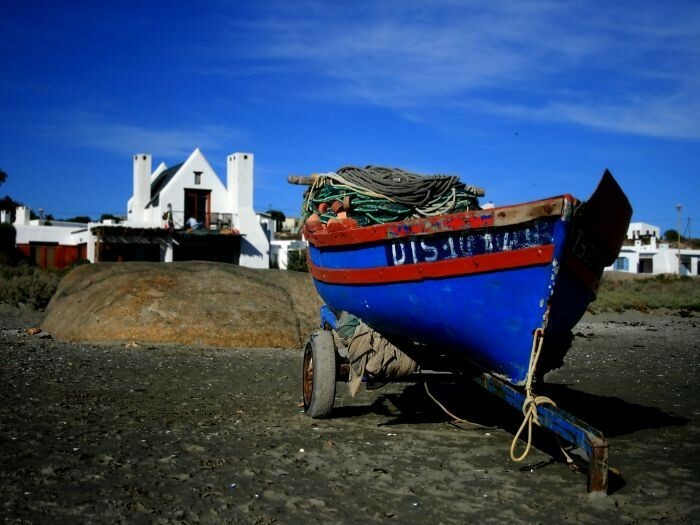 Now that the road to Paternoster, only 16km northwest of Vredenburg, has been tarred, new developments have been stimulated by the increase in visitors, the latest development being the establishment of a fish market where local fishermen can sell their catch. 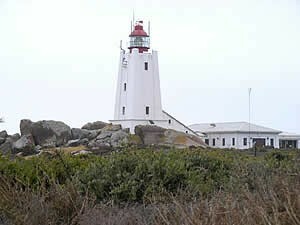 Access to the Columbine Nature Reserve and the lighthouse which now provides accommodation, is through this village. 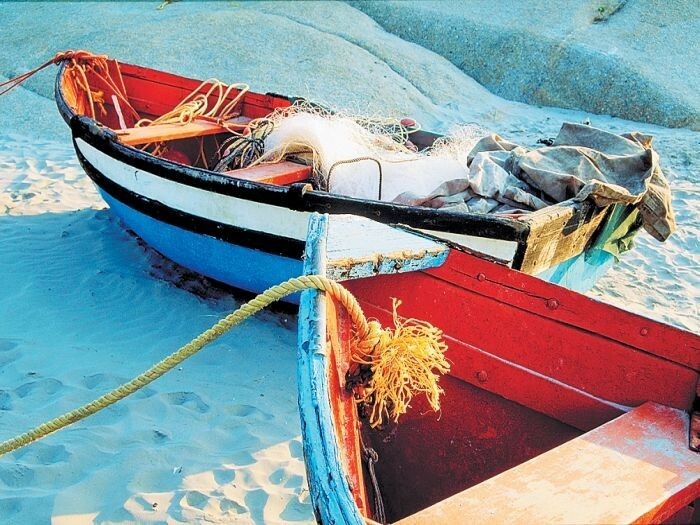 Paternoster boasts a hotel renowned for its seafood, and two good restaurants. 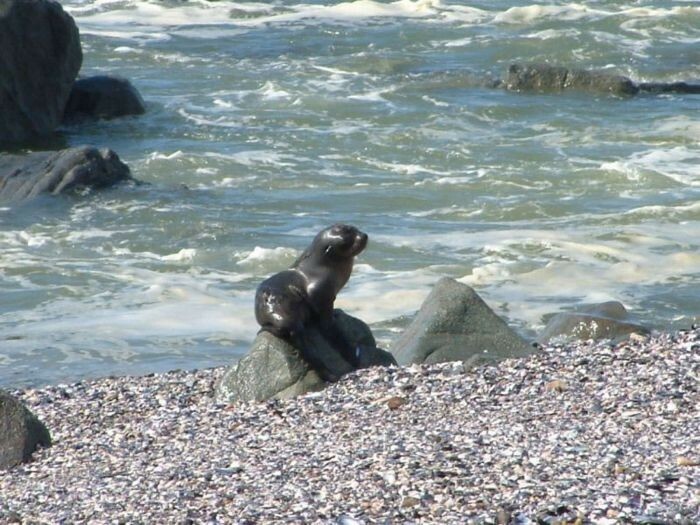 Opportunities for guided kayaking trips or even a diving experience are available. 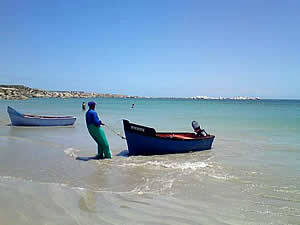 For accommodation in Paternoster click here. 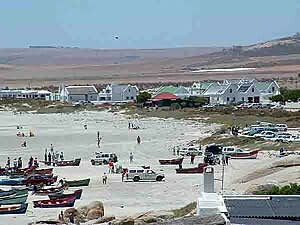 Overall, Paternoster has a mediterranean climate, with hot dry summers days and cold wet winters. The average summer (October to February) temperature is 25.3°C. To many March to April signal idyllic weather, summers heat subsides and the wind settles. Winter’s (May to July) temperatures range from 8°C lows at night and a comfortable 16.6°C by day. However, with the onset of spring (from August to October), the fast-retreating winter merges with the summer sun, bringing forth some of the worlds most spectacular wild flower displays.